Over 200 professionals attended the recent August 19th, 2010 webcast titled, “Job Order Contracting – The Stimulus- Ready Delivery Method”. The event, jointly sponsored by RSMeans and 4Clicks, drew a wide variety of professionals: Estimators, Facility Managers, CEOs, Presidents, Asset Managers, Planners, Engineers, Project Architects, Operations Managers, Accountants, Commissioners, Project Managers, and Construction Managers. Multiple markets also want to learn more about this efficient construction delivery method: Education, Federal, State, and Local Government, Manufacturing, Retail, and Construction, Architectural and Engineering Firms, and others! On October 14th, 2010 4Clicks will host “JOC and YOU”. 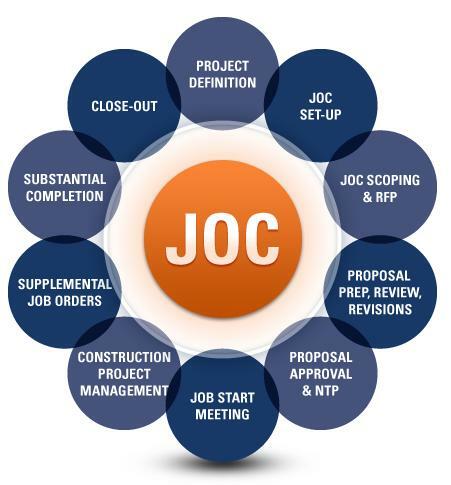 Don’t miss this FREE info-packed webinar intended for Owners, Contractors, and AE’s who like to learn more about automating JOC programs to improve accuracy, efficiency, and compliance. Whether your want to move away from spreadsheets or are considering a more powerful software program featuring an extended 400,000 line item RSMeans database, please join us on Thursday, October 14, 2010 at 1:00 pm EST. In cooperation with Members of the U.S. House of Representatives and U.S. Senate Renewable Energy & Energy Efficiency Caucuses – and in partnership with the House Sustainable Energy & Environment Coalition, House High Performance Building Caucus, House Algae Energy Caucus, House Hydropower Caucus, House Green Jobs Caucus, House Hydrogen & Fuel Cell Caucus, and House Green Schools Caucus – the Sustainable Energy Coalition is hosting the day-long Thirteenth Annual Congressional Renewable Energy & Energy Efficiency EXPO + Forum. This year’s EXPO will bring together 55+ businesses, sustainable energy industry trade associations, government agencies, and energy policy research organizations (see list-to-date on back) to showcase the status and near-term potential of the cross-section of renewable energy (biofuels/biomass, geothermal, solar, water, wind), fuel cells, hydrogen, energy storage, smart-grid, and energy efficiency technologies (e.g., lighting, appliances, vehicles, buildings, CHP).